An effort to tackle the evolutionary anomaly of why the neural tube closes in most embryos but remains open in others. BIOE Assistant Professor Giuliano Scarcelli recognized for new applications of Brillouin microscopy. Among the nine 2017 Invention of the Year award nominees, six are led by or include Clark School researchers. 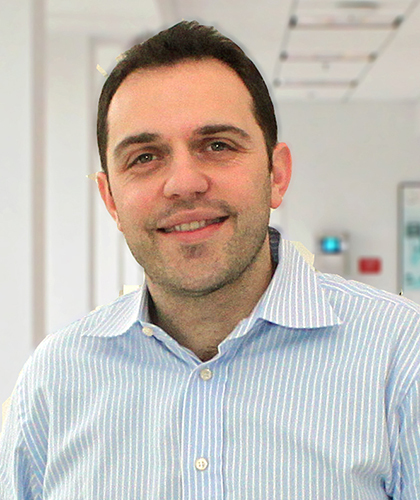 BIOE assistant professor Giuliano Scarcelli serves as co-author on Nature Cell Biology paper. Asst. Prof. Giuliano Scarcelli's research featured in Applied Physics Letters. BioE Asst. Prof. Giuliano Scarcelli published in Nature Methods. Prof. Giuliano Scarcelli receives prestigious NIH, HFSP grants. Assistant Professors Kimberly M. Stroka and Giuliano Scarcelli were recently named BioE faculty members.